On day one of the Wearable Technology Show, we found ourselves being introduced to new technologies and innovative ideas, on day two it was all about the future of smart textiles. We had various stimulating conversations with wearables and smart technology enthusiasts before deciding to focus our day on honing in on sports and fitness brands with an invested interest in the growing smart fabrics industry. Developed for modern day needs and wants, smart fabrics (also known as smart textiles and e-textiles) have the potential to meet an array of demands from various industries such as fashion, health and sports. Embedded with technology, the fabric has been created to sense and react to environmental conditions as well as perform a particular function. Most smart fabrics can brag features such as being designed to be wrinkle free, having the ability to change temperature in response to extreme conditions, containing anti bacterial properties to combat smell and sweat, triggering moisture management properties that can regulate and absorb sweat and finally creating a sense of well being through anti stress properties. Then there is interactive textiles, where a circuit and micro chip is embedded into fabric so that it can act like a computer or store energy. Great examples of interactive textiles includes hats and gloves that generate power through movement and then produce energy to keep the wearer warm, fibre optics woven into garments and lights incorporated into clothing. This year at the #WTS2016, there were quite a few brands showcasing smart fabric products. The three that stood out for us were Hexoskin, Antelope Club and AiQ. Hexoskin encourages wearers to listen to their body so they can live a longer, healthier and happier life. Designed with ECG for great precision, Hexoskin will give you insights about your physical training, sleep, and personal daily activities. Equipped with an accelerometer to quantify body movements, Hexoskin is able to track your heart rate, which you can view real time, using HRV to measure stress and training fatigue to avoid over training. It will also teach you to control your breathing so as to increase performance and reduce stress, it will inform you on your lung capacity for each of your activities, it will record your intensity level, steps and pace in real time and lastly, Hexoskin will track your sleep by measuring your resting heart rate, breathing and sleep position. Starting at $249, Antelope Club is revolutionary sportswear that mimics the processes that occur in our body when our brain directs muscles to contract. The Antelope Series is embedded with EMS (Electro Muscle Stimulation) technology, to give you the opportunity to workout in the most effective and time efficient way. The Antelope Series makes for the perfect gym partner for those looking to overcome their boundaries and get the maximum out of their body. Last but not least there is AiQ, a smart clothing company that is merging electronics with textiles to create fashionable, functional, comfortable solutions that can meet our everyday needs. With the drive to take Smart Clothing concepts to market, AiQ is playing a crucial role within the Smart Clothing supply chain by offering a complete and vertical integration of functional and fashionable technologies. Speaking with these three brands gave us a lot of insight into the relationship that the sports industry currently has with technology. We were able to learn that they all had the common goal, to manufacture at a commercial level and introduce to market stylish designs embedded with technology that eliminate the necessary wires and plastic boxes. At this moment in time, smart fabrics seem to be durable with ‘limited’ functionality. This is mainly because the production of this advanced fabric is currently facing limitations due to the technology that is available. Key challenges include whether it will be able to retain its shape and colour, whether it can survive sweat, humidity, weather conditions and if it can it exceed more than 50 washes. With a lot more questions then answers readily available, this was something that Matt Drinkwater, Head of Fashion at Innovation Agency, touched on during The Future of Smart Textiles panel discussion at today’s event. Moderated by Michael Reidboard, a professor at NY FIT, the panel discussed the key drives in the smart textile sector, and what innovations will provide future growth and what commercial opportunities will be available to organisations so they can take advantage of the latest technological advances. 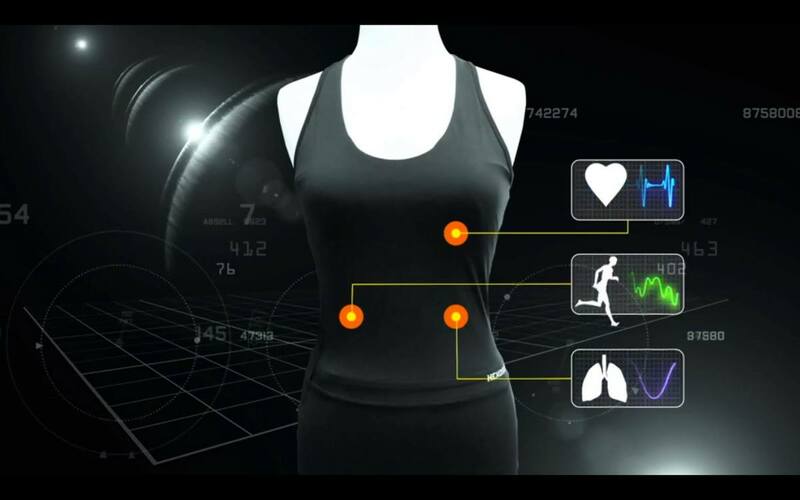 There seems to be a slow progression when it comes to smart fabric products going to market. On this Reidboard shared that he put it down to “a lot of disconnect”. Instead of concentrating on what we want our smart fabric to do we should really look at what we can do now with the technology we have. For brands to go forward with the production of smart fabrics, it needs to make sense. There is no need creating a smart garment if it isn’t for example aesthetically pleasing, therefore to make it all work, the electronic industry and the textile industry need to collaborate and work together. Currently, the sports industry seems to be jumping on the smart fabric bandwagon more so than luxury fashion brands. I think this is because they prefer something that functions with consistency and gives accurate data as opposed to whether it is easy on the eye. Technology being used in elite sports, benefits them greatly and that is why they concentrate more on overcoming the obstacles at a much more faster rate than the fashion industry has so far. As the day came to end we concluded that smart fabrics has the potential to be the game changer not only in sports, but also in fashion, health, public service (policeman, paramedic) and the work place. In order to get consumers interested in adorning it, we need to be able match the same drive that sports brands currently have and maybe, just maybe, smart garments might make their way into our wardrobe sooner rather than later. Missed Day One of Wearable Technology Show? Be sure to catch up HERE.